But employers typically deduct only 3 percent from employees’ paychecks. Thaler said this is nothing more an arbitrary percentage that a US Treasury Department official once mentioned in passing but that has now been accepted as gospel. It’s also too low by financial planners’ standards, particularly for mid- and late-career workers. “It’s time to get over that” and raise the rate, he said. Large numbers of corporations also offer to automatically increase over time the percent of an employer’s paycheck that he or she deducts over time, as their pay rises. 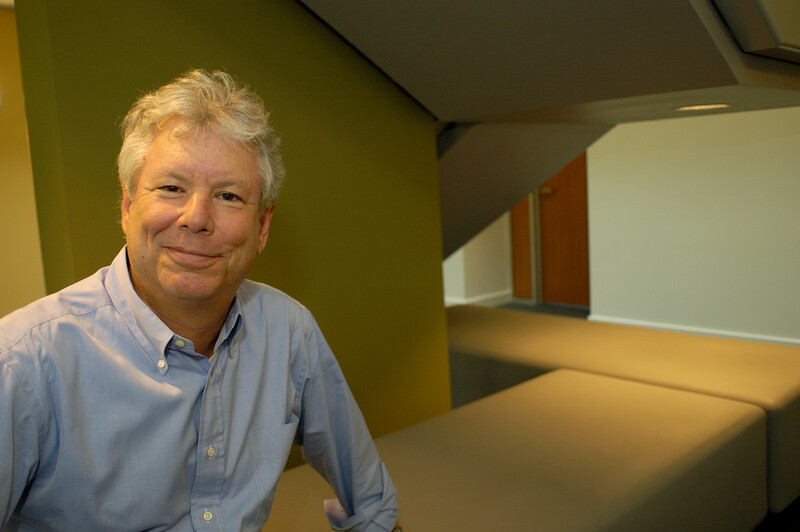 The problem here, Thaler said, is that employers bury this option on their websites, and “nobody can find it.” At the University of Chicago, where Thaler works, the option is highly visible and is reintroduced every year during open enrollment for the benefits program, he said. His harshest criticism was reserved for employers that continue to invest 401(k)s primarily in their own company’s stock. Despite the Enron debacle and the fact that diversification is the bedrock of prudent investing, 6.4 percent of employers still offer stock-only plans. Companies are resistant to change partly because they don’t want to send the signal that they’ve lost faith in the stock, he said. Audience members indicated that 401(k)-plan sponsors are wary of running afoul of regulators when they go too far to advise their employees. Heavy saving by large numbers of employees is also expensive for employers that match employees’ contributions. Thaler credited human resources departments and financial companies for doing “a pretty good job” with helping employees choose what to invest their 401(k) savings in, a complex task that is beyond the ability of most people. Callan said more than 90 percent of corporate defined-contribution plans it surveyed offer, as one of their options, an investment allocation for employees who don’t feel comfortable selecting their own. Employers can also help their employees prepare for their retirement by providing financial education. Many people don’t know that the typical 3 percent deduction from each paycheck towards retirement usually isn’t enough to help them live comfortably when their working days are over. People cannot adequately prepare financially for their retirement without learning about their expenses and financial goals. If companies incorporate financial education classes (online or live-workshops) into their benefits packages, they cannot only help their employees become knowledgeable about their finances and retirement plans, but they can increase their own bottom line. When asked if U.S. companies could continue providing employees with pensions that adequately cover their retirement years, nearly three in four (74 percent) of the respondents said no.